Our nonwoven continuous filament geotextiles are made from 100% polyester fibres, mechanically bonded by needle punching. Heat bonding can also be applied to further strengthen the geotech fabric. Nonwoven polyester continuous filament geotextiles have a high melting point and UV resistance. They provide an effective and economical solution for filtration, separation, drainage, liner protection and reinforcement applications. The continuous filament structure of nonwoven geotextiles permits water to pass through while preventing soil migration. Spunbonded polyester nonwoven geotextiles are more cost effective than natural filters when used for revetment and subsoil drainage applications. Nonwoven continuous filament geo fabrics are suitable for separating two layers of soil with different physical properties. Separating soft ground from coarse fill material reduces the amount of fill required and increases the life span of civil engineering structures such as roads and railways. They are frequently used in railway construction to separate the capping layer from the ballast layer. Nonwoven geotech fabrics improve the drainage performance of subsoil drainage systems in roads, railways, sports fields and behind retaining walls. They are ideal for draining or venting soils, such as the gas vent layer in a landfill cap. Needle free nonwoven geotextiles are ideal for protecting HDPE liners from punctures and excessive deformation. The cushioning relieves stress and minimises the chance of contained harmful liquids or landfill waste leaking. The strength offered by nonwoven continuous fibre geotextiles can improve the load bearing capacity of a soil’s structure, such as the reinforcement of a retaining wall. 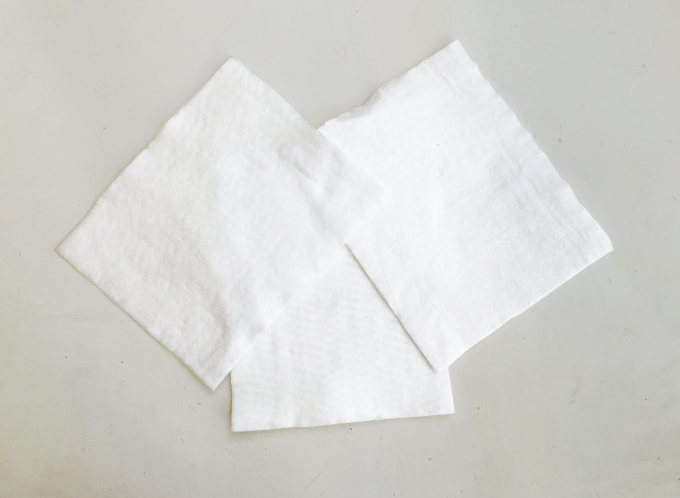 Our nonwoven polyester spunbonded geofabrics are available in a range of grades from 150gsm to 600gsm. The 6m wide rolls minimizes wastage due to overlaps.